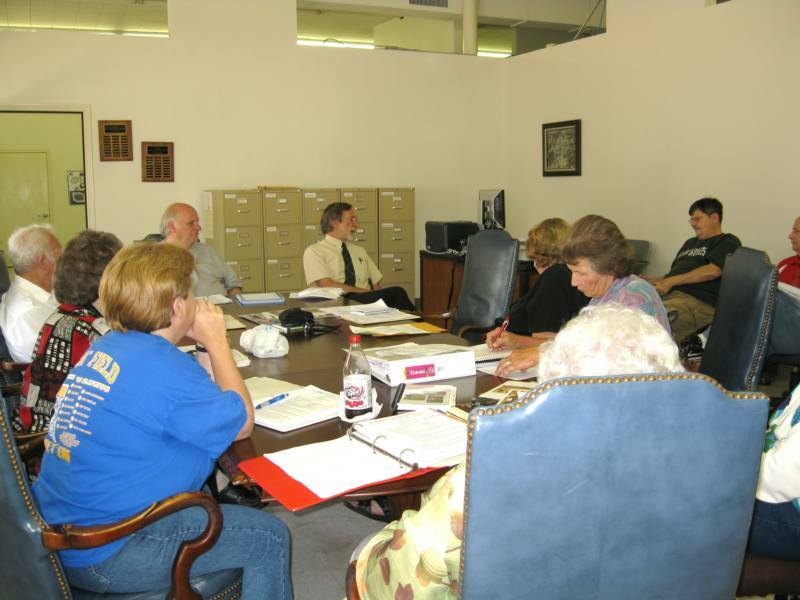 Terry Guinn presides over one of our monthly meetings. Special thanks to Butch Holcomb for finding the conference table and chairs! The fun never stops at CCHC! We are so grateful to Judge Davis and the Cherokee County Commissioners for supporting our move to the office in Rusk! The images on this page show us at work preserving the history of the county as well as enjoying fellowship with one aonther. On the left, CCHC members Kevin Stingley and Jim Cromwell enjoyed the food prepared for Terry's 30 years of service party! Also pictured are members Mary Taylor, Willie Harold Acker. and Evelyn Ezell. 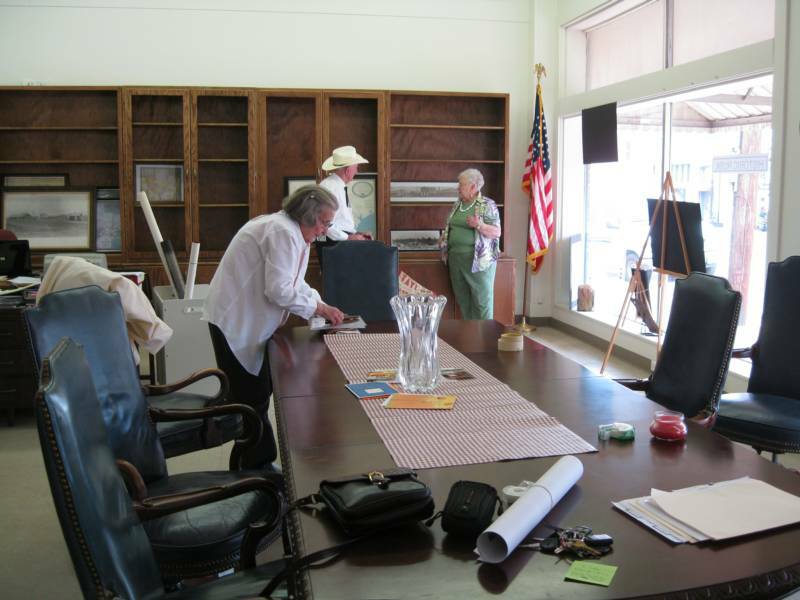 Mavis Wallace on the left along with Shelley Cleaver and Mary Taylor prepare photos for a CCHC window display. Citizens of Cherokee County enjoy the monthly displays with different historical topics . 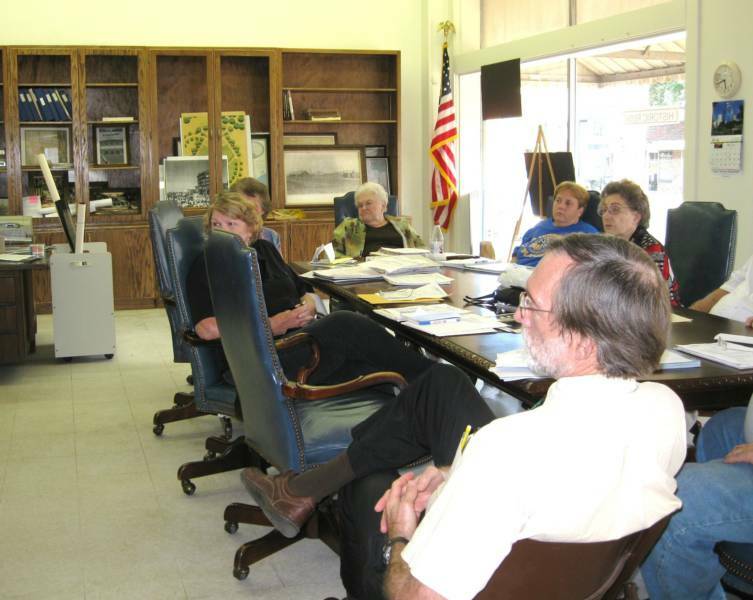 During a montly meeting, CCHC member John Ross, in foreground, listens as Charles Davis (not pictured) discusses historical towns in our county. 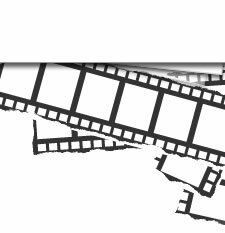 Looking Forward to Historical Preservation Projects in 2011! Members of the Cherokee County Historical Commission gathered at Aunt Lillie’s Antiques & Gifts in Troup for a holiday party. 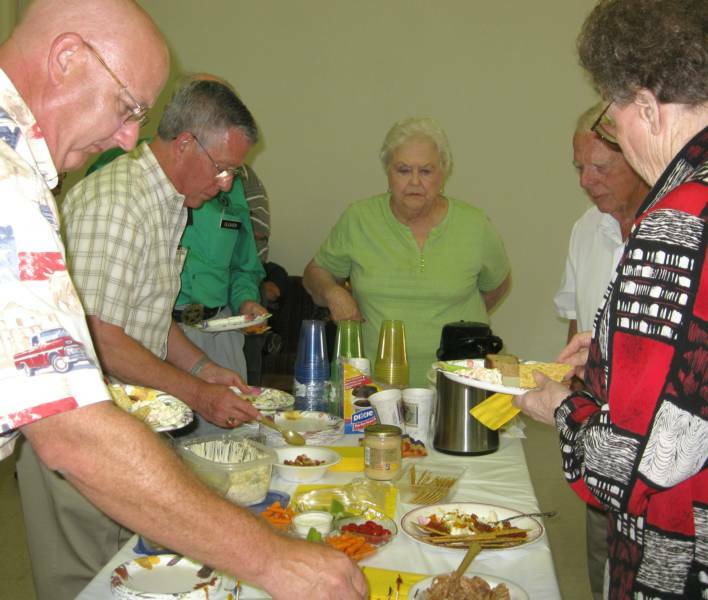 Food, fellowship and good natured fun was had by all as new members were welcomed into the historical commission. Pictured on the porch left to right are: Deborah Burkett, owner of Aunt Lillie’s Antiques, Elizabeth McCutcheon, Jim Cromwell, Terry Guinn, Cynthia Pryor, Mary Taylor, Mavis Wallace, John Ross, John Thomason, Butch Guy Holcomb, Charlie Mae Esco and Shelley Cleaver.